The most important competition among gardeners everywhere centers around who can produce the first tomato of the season. I think, hands down, I am the winner for 2015 for the outdoor grown tomato. My performance is almost unfair! Why? 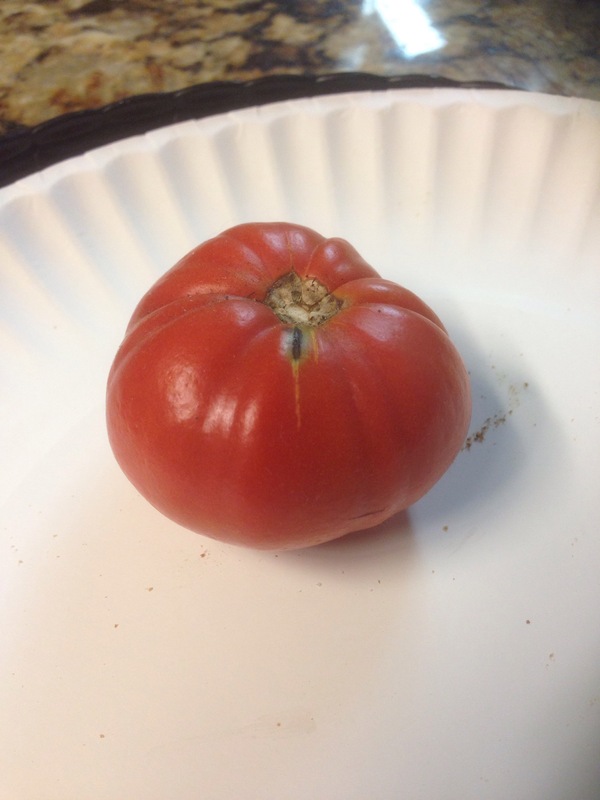 My red, ripe tomato was produced on a 2014 plant. A little unfair but let me explain. At the end of the 2014 season I had a healthy and robust plant that was still producing blossoms. It had dense and green foliage. I largely ignored it and hoped for a “tomato” miracle. Then came the first freeze at the end of January. The good looking and hardy tomato plant died! In my ignorance I failed to notice several small tomatoes, two of which showed signs of ripening. Shown below is one. No taste test yet, it is very firm so I am guessing it will not be as good as a true outdoor, Sun kissed, 2015 planted tomato! Competition brings out both the best and the worst in people. So, nah nah nah nan nah! I win! I still plan on having a juicy ripe 2015 tomato before the end of the first week in May! Be prepared for more bragging! It may not be big but it is pretty. I do have three tomato plants in the ground with fingers crossed! A freeze could set me back! The birds and I are “fixin” to go to war! I need to put up bird netting to protect my strawberries or starve my wife’s three cats as a ploy to get their help! That tactic may get the bird lovers up in arms! How about withhold some of their food so they looked menacing to the birds? Sugar snap peas rarely make it into the house..,.they are garden snack payments to my bride for her efforts to keep everything alive! Thanks Hun! And also For so much more!!!!!! Wink-wink. TTFN – from the frozen north- Williston North Dakota!